Severely obese patients who undergo bariatric surgery lower their risk of developing cancer by at least a third, according to a University of Cincinnati (UC) College of Medicine researcher leading a large retrospective cohort study of patients in the western United States. 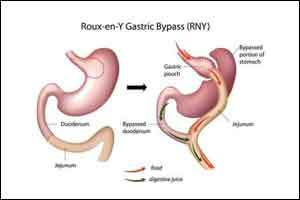 The study reviewed medical data of 22,198 individuals who had bariatric surgery and 66,427 nonsurgical patients between 2005 and 2012 with follow-up through 2014. It pulled data from large integrated health insurance and health care delivery systems from five study sites operated by Kaiser Permanente–Southern California, Northern California, Oregon, Colorado and Washington. Patients undergoing bariatric surgery had a 33 percent lower risk of developing any cancer during follow-up, according to the published findings. Schauer says the benefit is greatest among obesity-associated cancers. The risk of postmenopausal breast cancer dropped by 42 percent and while the risk for endometrial cancer dropped 50 percent in severely obese patients. The risk of colon cancer dropped 41 percent while the risk of pancreatic cancer was lowered by 54 percent.